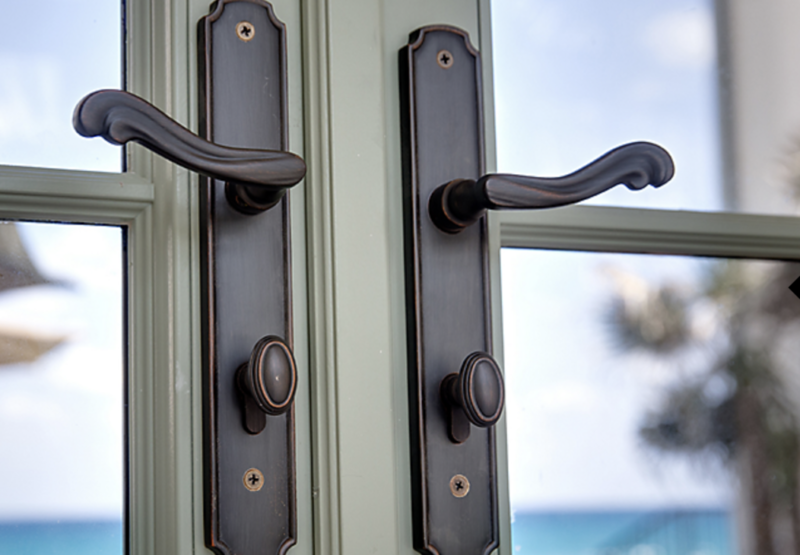 Window and Door hardware is essential to a room’s design theme. The first thing you touch when entering a room, from contemporary to traditional your living space is defined by the hardware. At Webster Window and Door, our team has carefully selected these brands of hardware so we can provide the highest quality products for your project in any style and in any price range. From Solid Bronze Levers to Electronic Keypad Locks, every home is unique and each of these brands has unique characteristics so we can find the perfect fit for your home. Explore these brands’ websites for more information about styles of hardware and what makes them different. contact us if you have any questions or make an appointment to come in to one of the best window and door showrooms in Saint Louis. Emtek is dedicated to helping bring your personal style to life. Door hardware is more than a way to open, close, and secure a space. To Emtek, it is an integral part of a room’s design theme. Emtek’s products are a cut above in terms of craftmanship and design. Each order is custom assembled in their Southern California facility. There is no predetermined combination of knobs, levers, rosettes and finishes; Emtek lets you mix and match according to your own taste. Ashley Norton has grown to become one of the leading designers and manufacturers of architectural hardware. They have developed a wide range of products including a collection of designs, finishes and styles that suit any customer’s needs. The durability of their products, and the elegant and unique designs are some of the reasons they are consistently chosen by designers for the high-end residential industry. With both Solid Brass and Solid Bronze manufacturing capabilities, Ashley Norton’s product range is amongst the most diverse in the high end architectural industry. Baldwin hardware a timeless and trustworthy brand that creates a charismatic presence in any home. Baldwin is about creating a signature look that seamlessly blends hardware with the personality of its owner, and showing the world what true luxury is worth. Baldwin’s master craftsmen take their time to create each piece by hand and with the utmost care so you can create your own signature look with seemingly infinite possibilities and elegant finishes.